If you own a business in Maryland that serves a significant number of customers daily, you know the floors take a beating. Epoxy coatings are an excellent way to keep surfaces looking new and functioning at a high level. With this, floors look fantastic and wear incredibly well. For optimum results, select a top-of-the-line product, something like SunEpoxy 100. Epoxy coatings are a perfect solution for a broad range of Maryland businesses. For example, retail stores, hair salons, arcade centers, laundromats, or automotive service centers would all benefit. 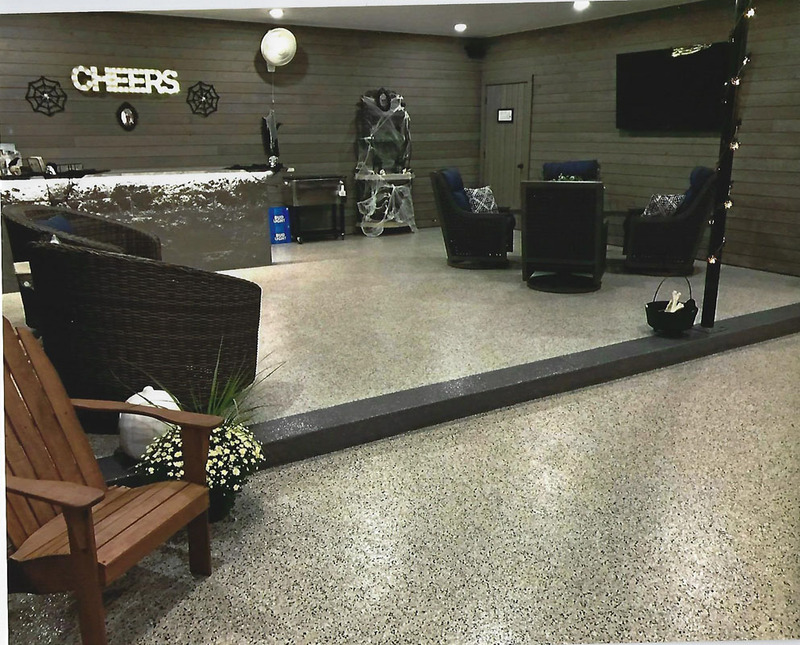 This decorative concrete coating can also transform the appearance of busy reception areas in law firms, dining rooms and kitchens in restaurants, showrooms at car dealerships, and so on. 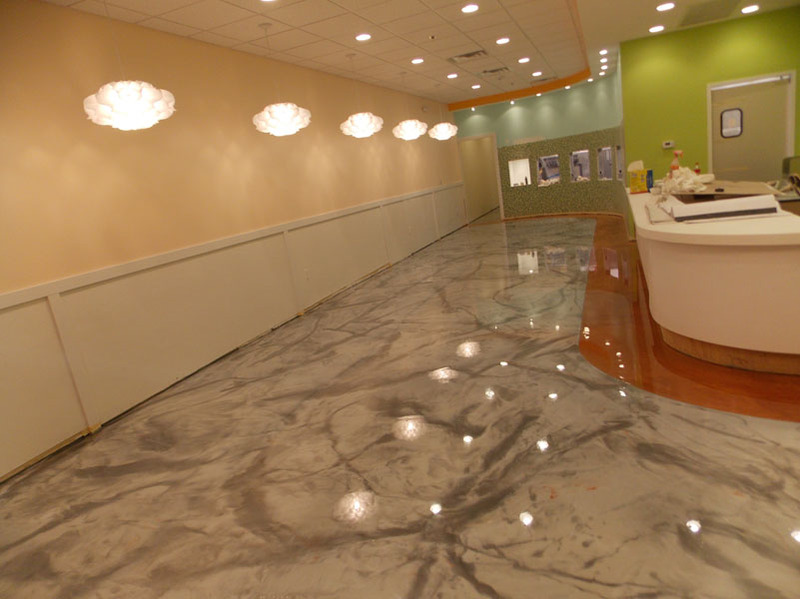 Why choose epoxy coatings for Maryland businesses as opposed to other decorative concrete solutions? For one thing, a high-end product creates a gorgeous surface. Whether to match a specific décor or theme, or simply for a more customized look, you can choose from a host of beautiful colors. This coating is ideal for both casual and formal settings. The expert who applies the epoxy can further enhance its beauty by adding aggregates. Depending on the environment, choose from things like pebbles, metallic flakes, quartz beads, colored glass, sea shells, etc. With that, you can personalize the space. Epoxy coatings make a perfect choice for businesses in Maryland, especially for owners concerned about abrasions, stains, impact, spilled grease or oil. This coating has a natural resistant to all these things and more. Also, consider that for high-traffic areas, you cannot beat what epoxy offers. 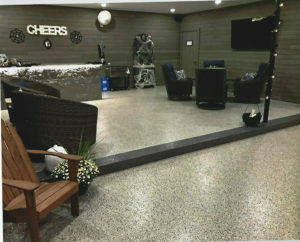 As an incredibly durable decorative concrete coating, it can handle a lot of use and abuse. Between color, texture, and pattern options, the addition of aggregates, and the fact this coating remains pristine even in high-traffic areas for a long time, you will never go wrong choosing epoxy.